Possibly the most obvious selection of the entire World Cup of Hockey is finally official - Sidney Crosby has made Team Canada. Missing from the initial team roster are Kris Letang and Marc-Andre Fleury. While Crosby was an "absolute lock", we still had Kris Letang as "very likely" to make the team, but it's no sure thing given the depth of the player pool team Canada has to pick from. Team Canada has chosen 4 defensemen and will likely take 7 on the roster, but there are some very gifted defensemen who haven't been chosen yet like Brent Burns and PK Subban to compete with. Marc-Andre Fleury was given a "poor" chance to make the team, and it's not surprising even with his play over the last two years that he was left out. Carey Price, Braden Holtby, and Corey Crawford is a very strong trio of goaltenders, and Fleury just isn't at that level. 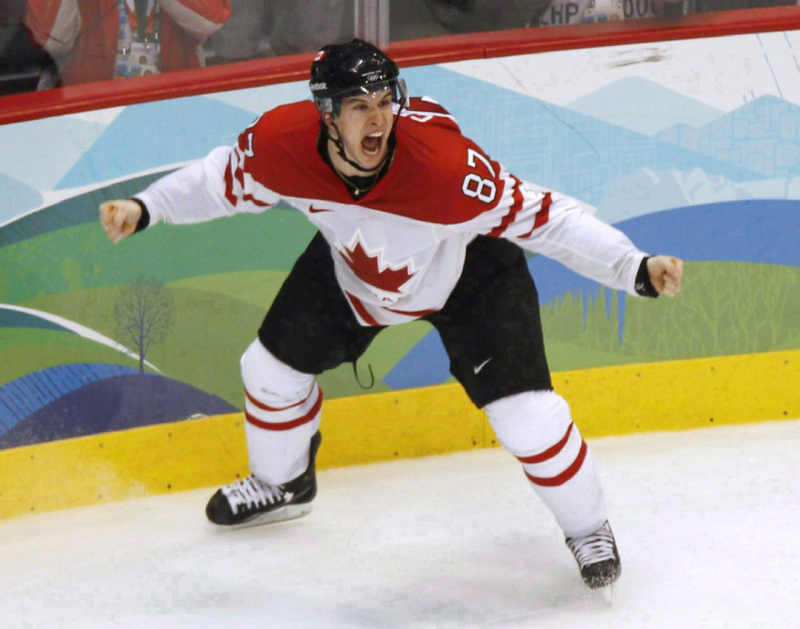 Sidney Crosby has represented Canada well on the international stage, scoring the Golden Goal at the Vancouver Olympics and also winning Gold at Sochi as well. He's made two IIHF World Championships in his career, winning a Gold Medal in 2015. Kris Letang will look to be one of the final 7 selections when Team Canada announces their full 23 man roster on June 1. The World Cup of Hockey will take place from September 17 through October 1 in Toronto, Canada. 8 teams from various European and North American countries will face off in preliminary play from September 17 - September 22, and the top two teams from each group will advance to the semifinals on September 24 and September 25. The championship round will be a best of 3 setup with games on September 27, September 29, and October 1 if necessary. Joining Crosby at the World Cup are fellow Penguins Evgeni Malkin and Olli Maatta for Team Russia and Team Finland, respectively, and Matt Murray for Team North America. Patric Hornqvist and Carl Hagelin missed the cut for Team Sweden, but will hope to join their teammates in Toronto when Team Sweden finalizes its 23 man roster. The final roster announcements is Team USA at 6:45 PM.